Whether the white walls are starting to turn gray or you inherited a circa 1980 color scheme that you just can’t live with, you know it’s time for a change—a big one. 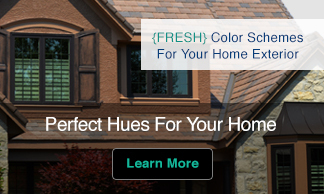 But, if you’re like most people, the thought of choosing paint colors leaves you a bit green. Never fear! Inspiration is all around you. This quick start guide will help you find the paint colors that will make you proud to show off that designed-by-you room. Keep your eyes open – Have you ever hiked along a trail and admired the many shades of green? Did you ever stop for a moment to look at the lush, blooming flower pots on a neighbor’s front porch? When you see shades that make you stop and take notice, you can start to add those to your list of go-to colors. Go pro – If you’re a Nervous Nelly about choosing a color, turn to the professionally-chosen schemes featured in magazines. You might check out the layouts in a home interior magazine or, perhaps, a gossip rag with a layout featuring a celebrity’s meticulously decorated home. Take note of the colors and styles that speak to you. 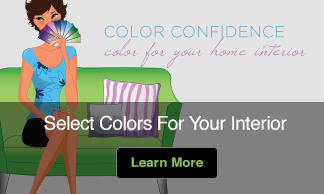 Or better yet you could call in a Certified Color Consultant who can help you to find a color perfectly suited to you, your family and your home. Take a trip – We all have that special spot, whether it’s a white sand beach or mountain retreat. Flip through your favorite vacation pics, noticing any of the colors that take you right back to that time and place. It might be the blue roof of a church on Santorini or the hues of a Peruvian textile. Capture that feeling every day by incorporating those colors into your room. Keep your camera phone or digital camera handy – You never know when inspiration will strike. Perhaps you see a display of funky green ottomans at the warehouse store. Maybe you’ll drive by a restored Victorian house with just the color scheme you’re looking for. While the color on the screen may not be exact, it will still give you a good feel for what arouses your eye. Inspiration is not just for the Michelangelo’s of the world. By opening your eyes to the things you already know and love, you will choose paint colors without fear—and with confidence.